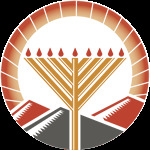 Want to keep in the loop on the latest happenings at Chabad Lubavitch. Subscribe to our mailing list below. We'll send you information that is fresh, relevant, and important to you and our local community. About Us Parenting Calendar Photos JSOTA Registration CHS 2015 "In 5 Minutes"
CGI Winter Camp Hamentashen Bake Gan Israel Spring Camp Megillah Reading & Celebration! CGI Reunion Sukkot Party Menorah Workshop @ Home Depot Chanukah Playland! Kids In The Kitchen - I Love Shabbat Kids In The Kitchen - Cake Decorating Celebration 28! Purim Fun Day Purim - First Night! Purim @ The Circus! Le Cafe Chabad MODEL Matzah Bakery CHS Model Seder Lag B'Omer BBQ! Shacharit & Breakfast @ the Park! Mega Challah Bake The Shofar Factory Pizza In The Sukkah! Kids In The Kitchen - Taco Night! Menorah Workshop @ Home Depot Chanukah Extravaganza!